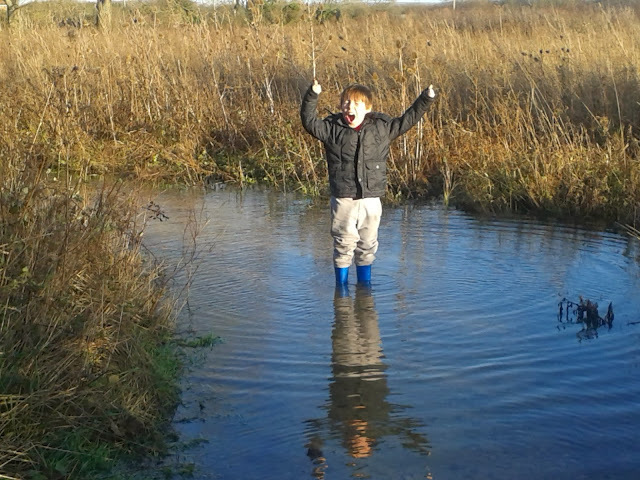 Sunday Photo; Wellies are for Puddle Jumping! Impressive puddles and great outdoor fun - perfect for my Country Kids linky if you'd like to join in. Wow, what a puddle! I had to distract my son from jumping in a similar one just before he was about to get back in the car last week. A Day at the Etihad!